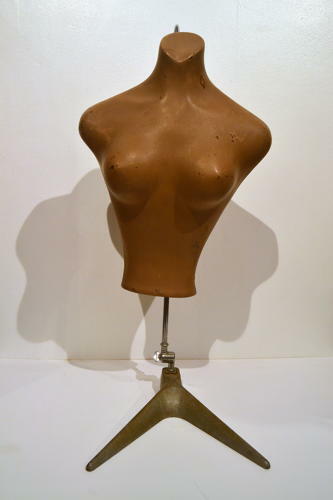 This is a vintage Art Deco fibreglass bust sitting on a fully adjustable metal base. It is in good condition but does have some markings. Would be ideal for retail or home clothing display.